This research, just presented at the 68th Annual Meeting of the American Society for Reproductive Medicine, focuses on diet and how it impacts sperm quality or In Vitro Fertilization success rates. Waiting to clamp the umbilical cord until 30–60 seconds after birth may benefit the health of preterm infants, but no evidence shows that it helps full-term babies, according to a new Committee Opinion issued today by The American College of Obstetricians and Gynecologists (The College) and endorsed by the American Academy of Pediatrics. Researchers just developed a mathematical model to help predict a couple's chances of becoming pregnant and help how long couples should wait before seeking medical help to achieve pregnancy. A new noninvasive blood test that measures cell free fetal DNA (cffDNA) to screen for three common genetic disorders early in pregnancy is extremely promising, according to a new Committee Opinion issued jointly today by The American College of Obstetricians and Gynecologists (The College) and the Society for Maternal-Fetal Medicine (SMFM). New research shows that this enzyme is increased in preeclampsia and when the enzyme was inhibited in animal experiments, their preeclampsia symptoms improved. ACOG The American College of Obstetricians and Gynecologists endorses OTC over the counter birth control pills. 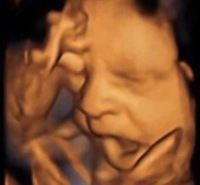 Researchers in the UK show that contrary to some views, fetuses do yawn, and suggest observing this behavior could be a useful way to monitor their developmental health. Previous: Can Shaken Baby Syndrome Occur Accidentally?